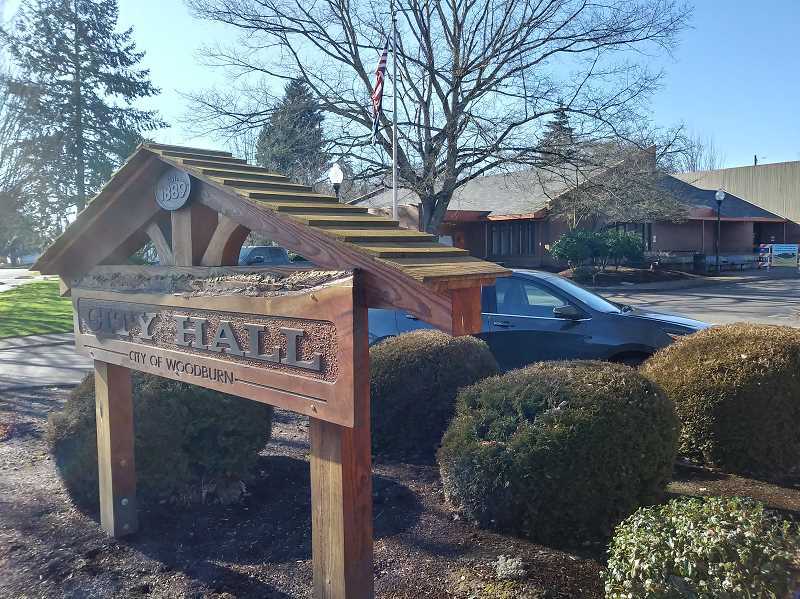 During its Jan. 28 meeting, Woodburn City Council awarded Banlin Construction a public improvement construction contract for the job of remodeling and installing an HVAC upgrade at city hall. 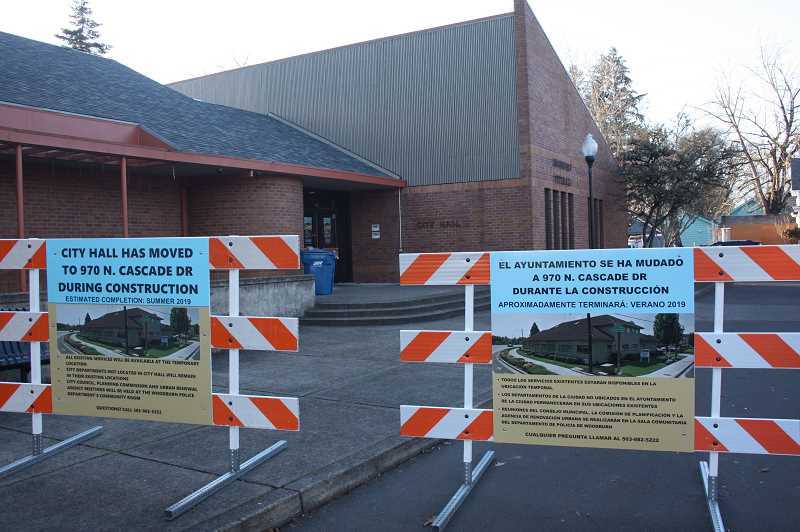 Woodburn City Hall services temporarily vacated the Montgomery Street location in December, moving to 970 N. Cascade Drive to accommodate the renovation work. Banlin's bid of $2,511,537 edged out bids from Woodburn Construction Company and Andy Medcalf Construction Company. The engineer's estimate for the project was $2,276,235. The report that came before the council included a recommendation for preauthorization of contract order changes or amendments of up to $300,000. Councilor Robert Carney examined that contingency for amendments and juxtaposed it to the $75k amount the city normally allows. "I did the math, and since this is a $2.5 million project, if we were to hold to our normal $75,000 (contingency) rule, I can see how if it would have to come before the council for approval for every $75k, … it would hold up the project," Carney said, noting that $300k amounted to about 12 percent of the project. "What I would like to ask, is it possible for the council to get a report whenever (an order change occurs)?" Assistant City Administrator Jim Row, who furnished the council with the upgrade report and bid recommendation, affirmed that such reports would be forthcoming. "Projects of this size generally involve a number of change orders, for just small, unanticipated issues the contractor will run into," Row said. "So, it probably won't be on a change-order by change-order basis. A lot of them are going to be really small, some larger; some may be in our favor and actually be reductions." Row added that plans are to have frequent updates on the project for the council regardless of whether there are change orders. "My primary concern is that roof has been leaking for a long time. We haven't pulled it off completely yet," City Administrator Scott Derickson cautioned. "We think we know what's there, but we don't know what we don't know about; my experience with roof projects is there is always something we didn't know." Located in the block encased by First, Second, Cleveland and Montgomery streets, Woodburn City Hall was constructed in 1976. Years of deferred maintenance engendered the need for a new roof and HVAC system along with repairs to water damaged walls, flooring and ceilings. The entire project is anticipated to take about 5-to-6 months and will include: ADA improvements for parking, restrooms, service counters and drinking fountains; seismic enhancements; a remodeled council chamber with new audiovisual system; security improvements; reconfigured and enlarged work areas for employees; energy efficient lighting. The audiovisual system work is being bid separately. The city's budget for the 2018-19 fiscal year has $3,415,000 allocated for the project, including $1,815,000 in cash from the general fund and $1,600,000 in loan proceeds. The city is also receiving a rebate of about $25,000 from the Energy Trust of Oregon, due anticipated energy savings from the upgrades. City staff expects to revisit the project with city council during its Feb. 11 meeting, requesting funding to fully finance the project with a loan to be paid down over four years.